The holidays are creeping up quickly. This week’s Saturday Sweets is one pie recipe you’ll want in your wheel house as it’s perfect for Thanksgiving, Christmas, or any other gathering you’re attending over the next few months. If you’re looking for something sweet that’s still got a little kick, then this is just for you! 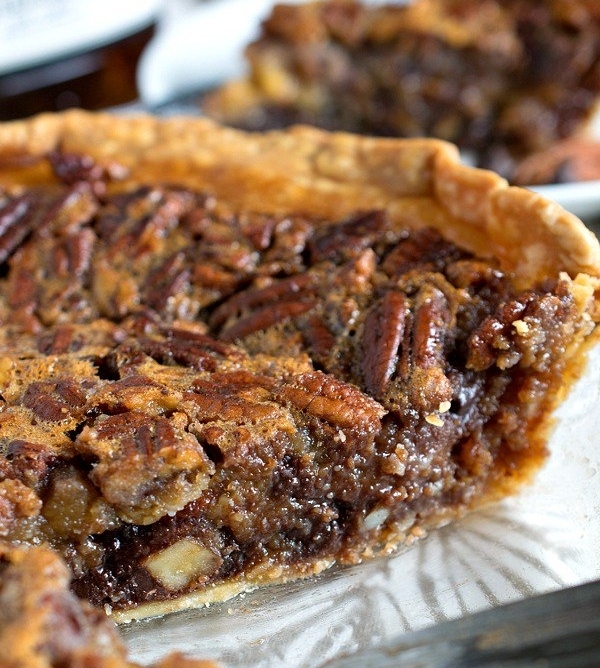 Today I’m sharing one of my favorite pie recipes - Chocolate Pecan Bourbon pie. It’s perfect for the beginning of Fall. I usually save this recipe for Thanksgiving, but this year I’m thinking I’ll be making it early. Protip: it’s best to make the pie the day before you plan on serving it so that it has time to cool down fully.